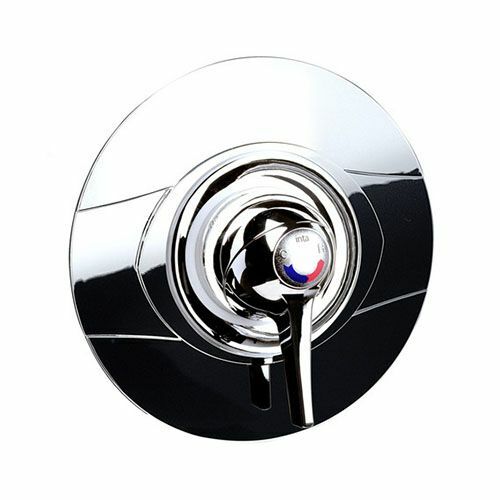 The DTUK Pro Doc M Disabled Shower Pack with brushed stainless steel rails is a hard-wearing solution, with rails which provide a contrast to a wide variety of wall colours, while still looking aesthetically pleasing. This complete Doc M DDA solution includes a padded seat with moveable arm rests, 3 stainless steel grab rails and 2 stainless steel swing arm supports. This pack is usually in stock and delivered in 1 to 2 working days. VAT & UK Mainland Delivery. The LRV for these brushed stainless steel rails is SSS 38. 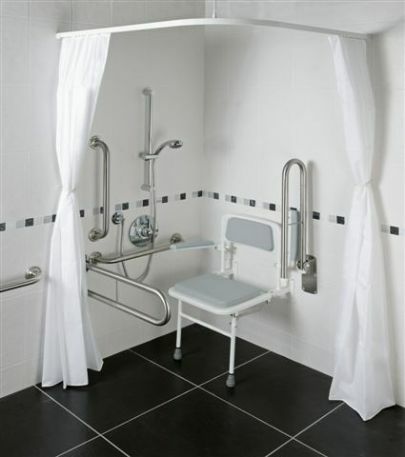 If you are Registered Disabled with a long term illness you can complete a VAT Exemption Form when purchasing certain items such as disabled toilets or grabs rails for installation into your own home. Please download and complete this VAT Exemption Form before returning by email to sales@disabled-toilets-uk.co.uk, fax to 01603 488 598 or by posting it to the address on our Contact Page.